(CNN) - Excessive absences by TSA officers currently working without pay have "adversely impacted security operations" at a southern California airport, a high-ranking Transportation Security Administration official wrote Monday in an internal email obtained by CNN. The email from Martin Elam, the deputy federal security director overseeing five California airports, directed to all TSA personnel at Palm Springs International Airport, exposes for the first time an acknowledgement that the partial government shutdown -- now stretching into a third week -- is having some impact on aviation security in at least one airport. It comes amid safety warnings from the major pilot, flight attendant and TSA employee unions. 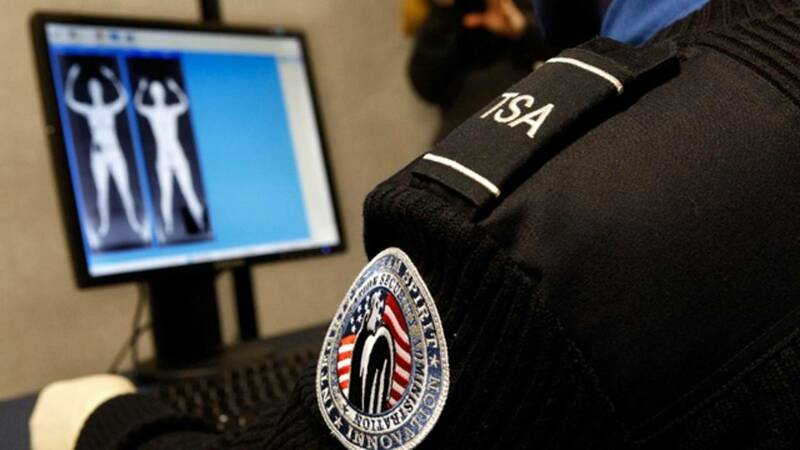 TSA has argued that "security effectiveness will not be compromised and performance standards will not change." But concerns about the number of callouts in Palm Springs have reached the point that security operations may be impacted and employees may be disciplined for missed shifts -- potential further hardship for those already going without a paycheck. More than 2 million passengers passed through the airport last year, according to the City of Palm Springs website. Los Angeles International Airport, by comparison, handled more than 80 million passengers. "Palm Springs airport is a small airport that requires a full team effort," said Jim Gregory, TSA's Deputy Assistant Administrator, in a statement. "The Deputy FSD who is referenced in the email obtained by CNN was simply expressing that all screening employees must report to work during the current lapse in appropriations as required by federal rules. TSA is monitoring screening operations at Palm Springs and has not seen any adverse impacts to operations." On Friday, CNN first reported that hundreds of TSA officers have called out from shifts at four major US airports. TSA says security concerns are unfounded and screening times have not been impacted. Agency spokesman Michael Bilello on Monday said that 4.6% of TSA employees missed a shift on Monday nationwide, compared to 3.8% on the same day in 2018. The agency has not released data dating to the beginning of the shutdown on December 21. January is generally a slower month for air travel, but the agency has warned that wait times could increase. It provided data on Tuesday showing that nearly all travelers nationwide are waiting less than 30 minutes to be screened. In the email, Elam, the deputy federal security director overseeing Palm Springs, LAX and three other Los Angeles-area airports, acknowledged security staffing worries and warned of "disciplinary action" at Palm Springs airport. "Management is appreciative and sensitive to the burden the ongoing government shutdown is placing on each one of you," Elam wrote. "You are an essential employee and you are required to report for work to carry out essential duties." "Due to excessive unscheduled absences recently experienced at PSP (Palm Springs International airport) that has adversely impacted security operations, if you have an unscheduled absence, you will NOT be placed in an intermittent furlough status," Elam added. "Your unauthorized unscheduled absence will be coded by payroll as absent without leave (AWOL). At the conclusion of the government shutdown, an employee's AWOL status may result in progressive disciplinary action." Elam referred questions to the TSA press office. Union officials have warned the shutdown places TSA officers in a difficult position, as they are not receiving paychecks to cover the costs of working, such as commuting and childcare. Some are seeking temporary employment -- with more reliable pay dates -- to make ends meet, union officials said. Hydrick Thomas, president of the national TSA employee union, told CNN on Friday the callouts "will definitely affect the flying public." The impacts could compound the longer the shutdown lasts, union officials say. Those manning the security checkpoint can be demoralized by the lack of pay, or exhausted and less sharp from covering extra shifts, according to union officials who are also employed by TSA. With insufficient staff, managers may open fewer security lanes, causing lines to grow longer and move more slowly. New recruits cannot be hired or trained without funding. "The loss of officers, while we're already shorthanded, will create a massive security risk for American travelers since we don't have enough trainees in the pipeline or the ability to process new hires," Thomas said in a statement on Monday. TSA Administrator David Pekoske and other senior agency officials held a conference call on Monday to discuss the shutdown, two sources told CNN. Among the topics addressed was the increase in call outs and how to ensure officers show up to work. Pekoske also told officials on the call that security standards will not be lessened during the shutdown. It was not clear if the Palm Springs email was spurred by the discussion in that meeting, or was separate. Thomas Nolan, executive director of the Palm Springs airport, says he "has not noticed any malfunction in how the airport is operating" but added that he "wouldn't have visibility on TSA staffing issues." Rep. Bennie Thompson, a Democrat who chairs the House Homeland Security Committee, has asked TSA for additional information on the call outs and whether it has a "contingency plan to address mass callouts or resignations among its workforce." Office of Personnel Management guidelines do specify that employees required to work during a shutdown will be considered absent without leave if they fail to show up, and that the classification can subject an employee to unspecified disciplinary action.